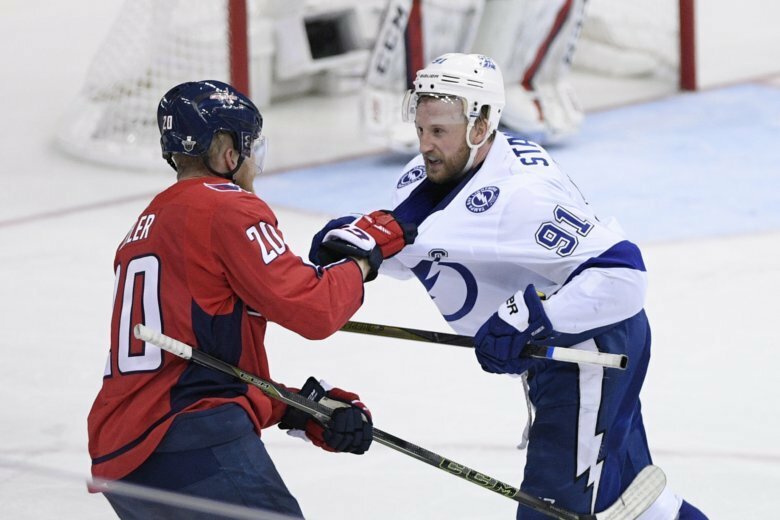 Hear the highlights of Game 3 of the Eastern Conference Final between the Washington Capitals and the Tampa Bay Lightning with John Walton and Ken Sabourin on the call. WASHINGTON — The Tampa Bay Lightning scored twice on the power play and twice at even strength as they beat the Washington Capitals 4-2 Tuesday in Game 3 of the Eastern Conference Final. The Capitals now lead the series 2-games-to-1. Victor Hedman had a goal and two assists for Tampa Bay, while Steven Stamkos, Nikita Kucherov and Brayden Point had a goal and an assist each. Lightning goalie Andrei Vasilevskiy was named the game’s first star after he turned aside 36 of the 38 shots the Capitals threw his way. Hear their goals, as called by John Walton on the Capitals Radio Network. Follow Capitals Radio on Twitter.